Their stories are almost identical, two dentists and two nurses who were college sweethearts, fell in love, and lost their partners in almost the exact same way. After becoming friends, they found each others experiences were very relatable to one another and they were able to understand each other on a level no one else can. 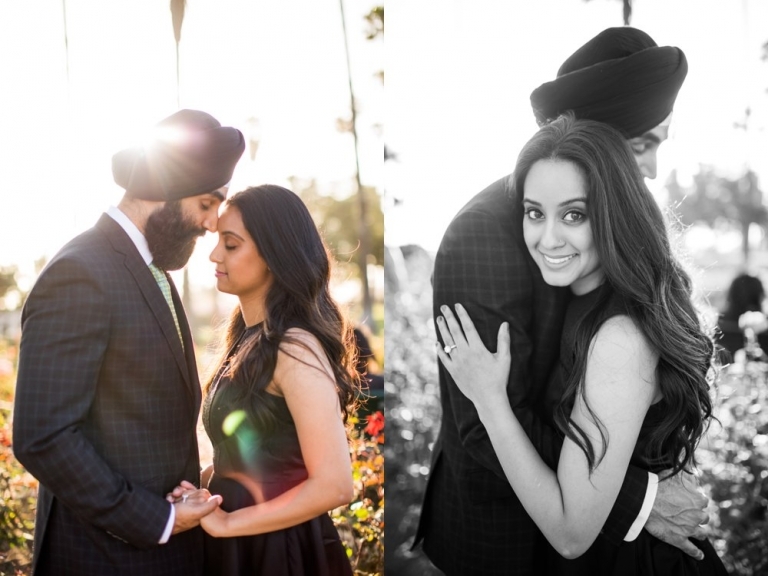 Harpreet and Sandeep met through a mutual friend. This mutual friend also experienced the sudden loss of her partner. Their friend’s partner was related to Sandeep’s fiance and passed away a few months before Harpreet’s wife passed away. The three of them have been a support system for each other for a long time. In the midst of this, Harpreet and Sandeep became friends immediately and became best friends the more time they spent together. They never thought their hearts could grow to this level so organically after the darkness they have experienced, and would continue to grow with each passing moment. They found joys in everyday life experiences again: going to basketball games (GO WARRIORS! except Harpreet is still a loyal Kings fan), working out (very arguably their favorite past-time), training for a Spartan race, hanging out with family and friends, reconnecting with Waheguru, enjoying new restaurants, taking strolls through the park with their dogs – Annie and Marley, and relaxing on the beach. Sandeep and Harpreet truly believe their actions and service to humanity honor the lives they lost every day. They spend every waking moment living and loving life to the fullest – it is hard to take a single moment for granted anymore. Always forward, forward always! WOW, right? 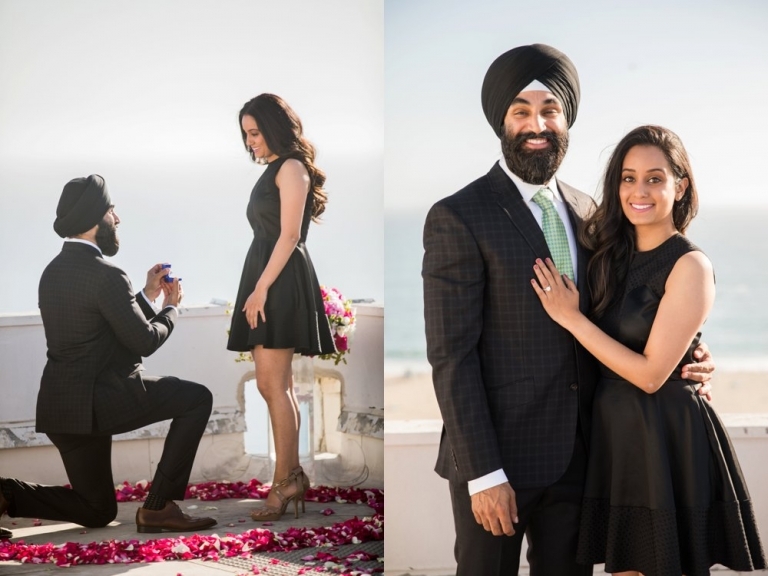 When Harpreet first called me to share his story and the upcoming proposal, I literally teared up. I couldn’t believe he was calling ME and asking me to be a part of this “beauty from ashes” story. It felt like such a humble honor. Of course, there is so much anxiety and anticipation and planning that goes into a proposal, and this one was no different. But Harpreet did everything he could to make sure it was perfect for Sandeep. We even had a little run-in with security on the roof THIRTY MIN before… but thankfully Harpreet convinced him we would be quick. 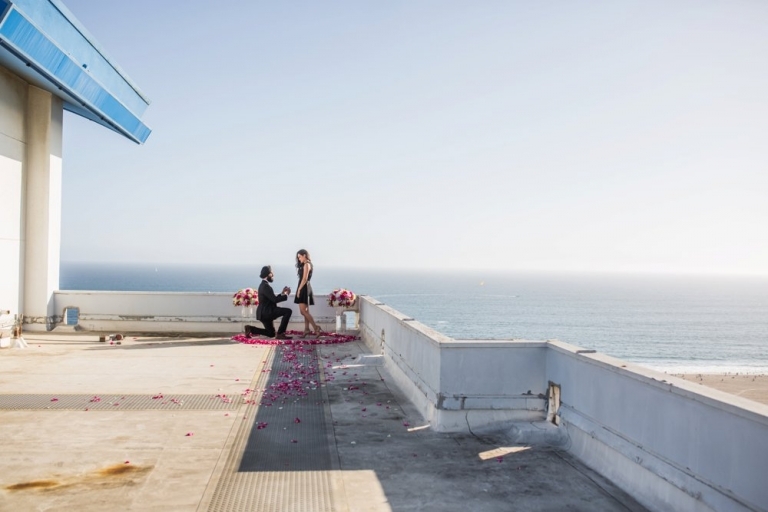 After all, it had to be this location… as they come up here to watch the sun set behind the Santa Monica Pier and take photos together. They discovered this secret gem of a spot on the rooftop of his apartment building one of the first times they hung out, also the highest building on that part of the strip. 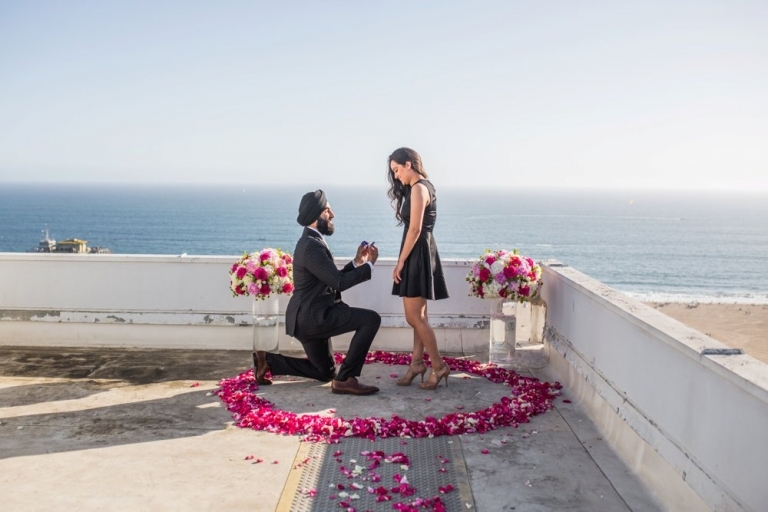 While Sandeep was in LA for a last minute conference through her work, Harpreet set up a surprise proposal on the rooftop of his apartment building. He planned a nice “dinner at Nobu Malibu” after her last day at the conference as a reward for getting through such a hectic week of work and this conference. Before heading out to their “dinner reservation”, he suggested taking her to the rooftop first to take photos since they were dressed up. With the rooftop being one of their favorite spots to hang out, it was not difficult for her to agree. The rest was history. It went off without a hitch, and Harpreet could breathe a big sigh of relief before we went out for their post-proposal engagement session! Congrats again you two… and thank you so much for asking me to be a part of your story. Planning a proposal? Contact me at meghan@meghanchristine.com!